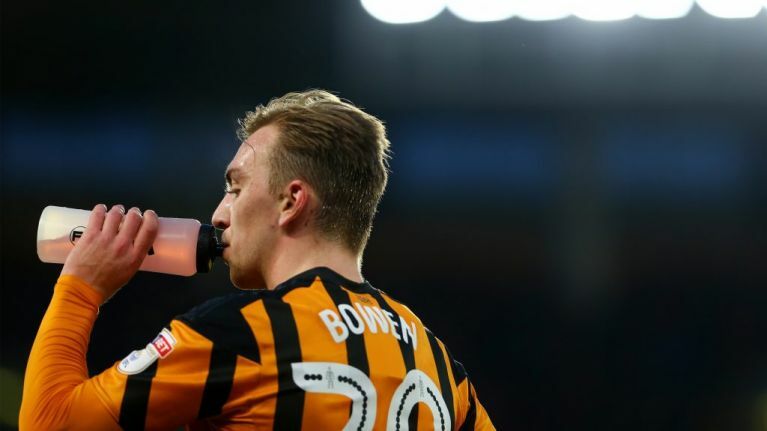 Tottenham Hotspur are reportedly keeping tabs on Hull City forward Jarrod Bowen, as they search for a temporary replacement for their injured talisman Harry Kane. Kane suffered another ankle injury against Manchester United last weekend and will be out of action until early March, leaving Tottenham with Fernando Llorente as their only fit striker. Spurs are on the hunt for a cheap addition to the squad to help them through their injury crisis, and the Mirror are reporting that they are keen on Bowen, who has scored 13 goals this season, with five in his last three matches for the Tigers. The Mirror are reporting that Spurs are lining up a £12m bid for the in-form forward, who has also attracted interest from Burnley, Crystal Palace and Leicester City. All four clubs interested in Bowen are believed to have watched him play in Hull’s win over Sheffield Wednesday on Saturday, when he scored two goals. Pochettino has played down Spurs' interest, but the club are believed to have sent scouts to watch him in every match this season. Hull will be stubborn in negotiations, desperate to keep hold of their star player, who has been the main factor in their rise up the Championship, but money talks, and a big enough bid could convince the club to let him go.